When planning a trip where you have several activities planned, the best way to go is to look for a clean and affordable accommodation. And that’s what we did with our Coron Trip. Planning for our Coron vacation was done a couple of months before the actual trip, as with our usual practice. This is to provide ample time to prepare the budget and scout for accommodations, itineraries, tour groups and the like. Since we were with my sister and her husband, planning was even more convenient. My sister likes to organize stuff and this was no exception. See? Siblings are indeed cool to travel with! 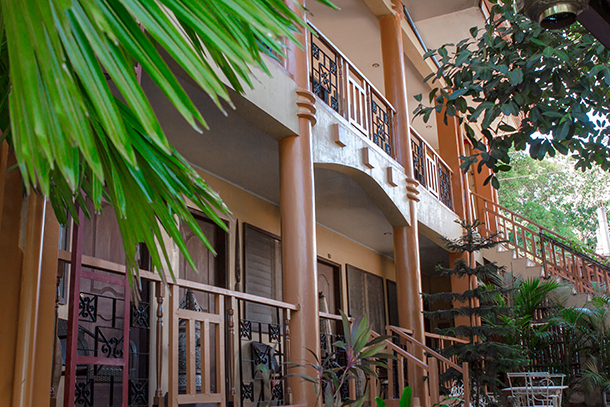 Coron, Palawan has indeed a lot of accommodations you can choose from. From resorts to hostels to the luxurious ones and to the budget-friendly, there is something for any type of traveler. As for us, we were going to spend most days out, so a budget-friendly accommodation was desirable. 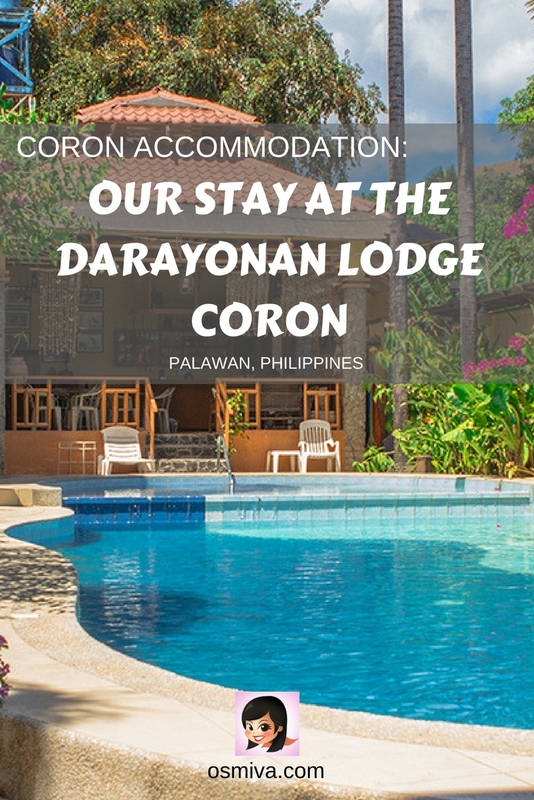 A family member referred Darayonan Lodge Coron to us. They have stayed there before and was pretty much satisfied with the hotel’s services. 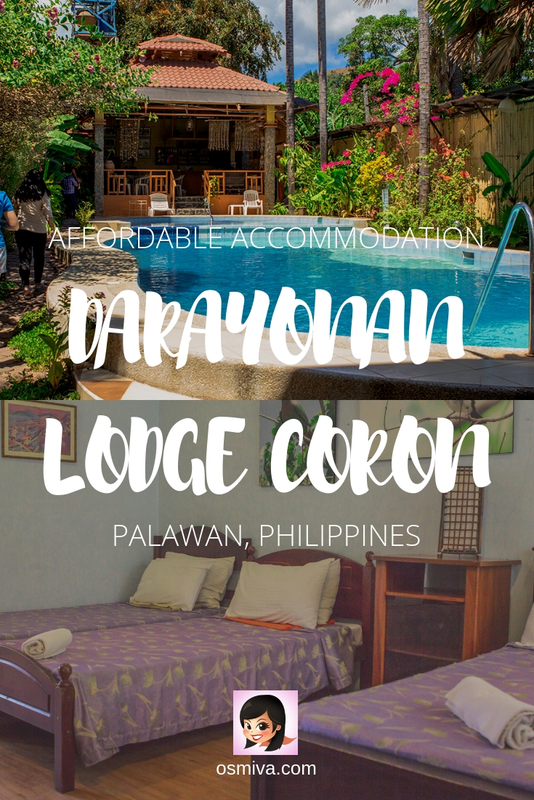 The Darayonan Lodge is a friendly Coron accommodation with comfortable amenities perfect for our planned itinerary in Coron. 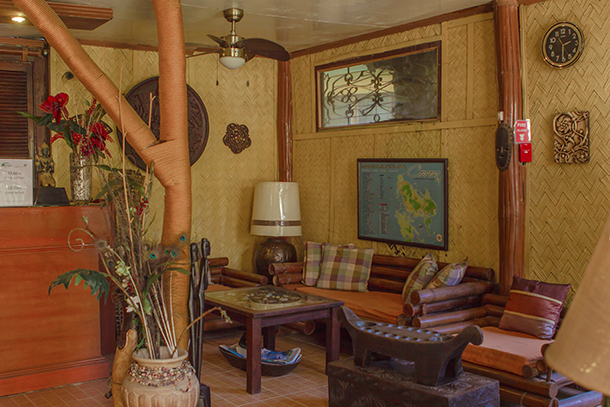 Upon checking on the internet, we found out that the Lodge also offers various Coron Palawan tours. A good plus as we wanted to explore more of Palawan’s tourist attractions. 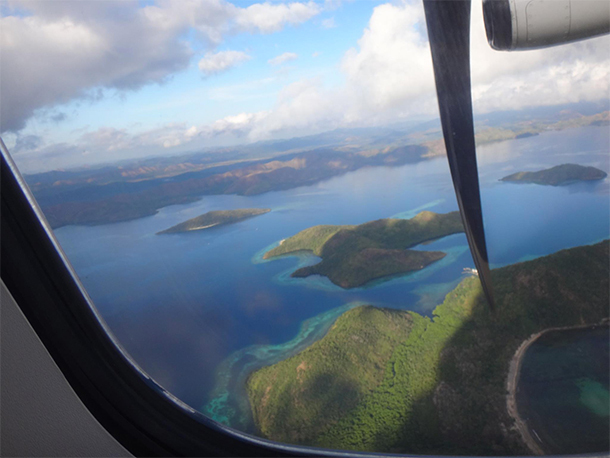 Despite the late night travel from Cebu to Manila and then Manila to Busuanga, our initial tiredness was completely washed away when we saw this amazing view from above. It was such a welcoming site and indeed gave a definite promise of great moments ahead. Our flight to Busuanga from Manila arrived at around 6AM. A van was waiting for us at the airport to take us to the hotel in Coron. It took us approximately 30 mins to reach the hotel which, to our delight, was located at the city center. We had plans to explore the town on our own and it was awesome that the commute to our point of interest was pretty easy. The hotel is set up with a homey feeling and very traditional look. At first glance, it seems like a residential building. It’s enclosed with a fence surrounded by plants. The rooms were separated on several buildings. I love the map of Coron displayed at their reception area. It was fun checking out the places we were going to and understanding the geography of the island :). As it was still early in the morning, we had to request if we can check in early. We were advised to wait a little while as the room was still being prepared. While waiting, we opted to have our breakfast in the hotel. Breakfast was served at the poolside bar. 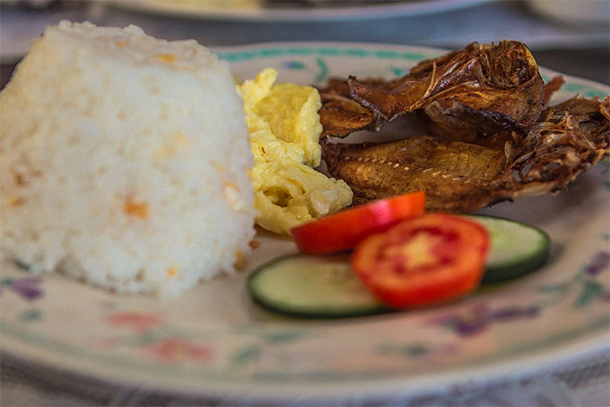 The staff was very helpful and introduced us to one of Coron’s delicacy, the Danggit Lamayo. They were very friendly too and even gave us a tip or two on going around town. I had no qualms of being on the 2nd floor, but the staff kindly accommodated us on the first floor. I was pregnant at that time and climbing the stairs might put unwanted strain on me. Our room was just in front of the pool which was pretty good. There was no fear of slipping btw! 😉 To be honest, I was feeling pretty good at that time. The pool was pretty clean. We had a quick dip after our Coron Ultimate Tour. The water and the ambiance was very relaxing indeed. 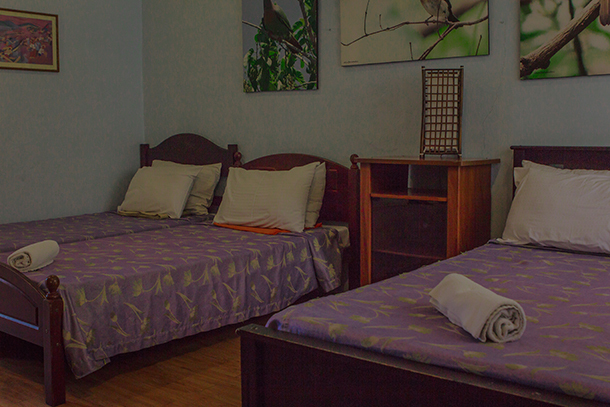 We have booked a family room, good for four (4) persons. The price was very reasonable and already included breakfast for the 4 of us. The room was originally good for three (3) persons, but we added one extra bed. Despite not having Wi-Fi inside the room (wi-fi was only available at the common areas), we were pretty comfortable. We had plenty of room for our stuff and all the basic necessities were provided for. 🙂 There was cable TV, the ACU was working, the sheets were clean and the bathroom was well-provisioned (and of course, clean and had hot water 😉 ). Their dining room is pretty impressive with its cute display of items. We did not eat here though, as we preferred to eat at the poolside minibar on breakfasts. Also, we have opted to explore Coron’s food scene thus the exploration of local restaurants :). It was summer then and the weather was too gorgeous to stay indoors! 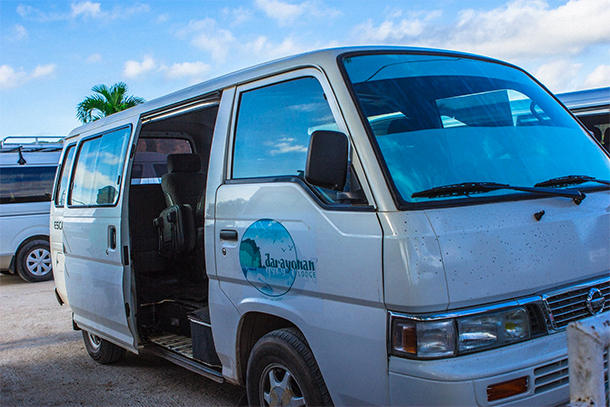 Aside from the usual services you’ll expect from an accommodation, Darayonan Lodge Coron also arranged our Calauit Safari Tour and Coron Ultimate Tour for us. They even prepared sandwiches for us on the day of our safari tour as we started out pretty early in the morning. There are many ways to book a room here and one of the easiest (and affordable too) is reserving through hotel booking websites. Over-all, Darayonan Lodge Coron was perfect for our short but very enjoyable Coron vacation. The hotel was very budget-friendly and had a homey feel about it. It was just perfect for us who was mostly out the whole day and wanted to have a friendly accommodation to return to at night. Like this post? Pin it! wow, what a place to stay, it certainly does have a homely feel to it! I have to ask, what exactly is that breakfast dish? It looks like rice and eggs and something else? Aww it looks so cosy, and the pool is awesome!! This looks like a really nice and friendly budget hotel with a lovely pool. What a bonus to have breakfast by the pool! Wow looks like a nice hotel!!! Oh my gosh, those views from above!! AMAZING!! My eyes turned into those little love-hearts you see on the emoji hahaha. The pool also looks gorrrgeous, I completely understand your preference to eat your meals at the poolside bar 😉 I will definitely keep this accommodation on my list! Thank you for sharing!! Hahaha.. Mine did too! 😉 Thank you, Sheree! Great to hear that! I’m sure you’ll love it! Looks like a great olace to stay! Would love to check it out when I am there! That view from the plane is insane! It really was! It got me super excited that I completely forgot I was tired. LOL.. This is a really cute place. It is good to know there are some decent options on Palawan as I found it really expensive when I was looking. I take it the baby has come? 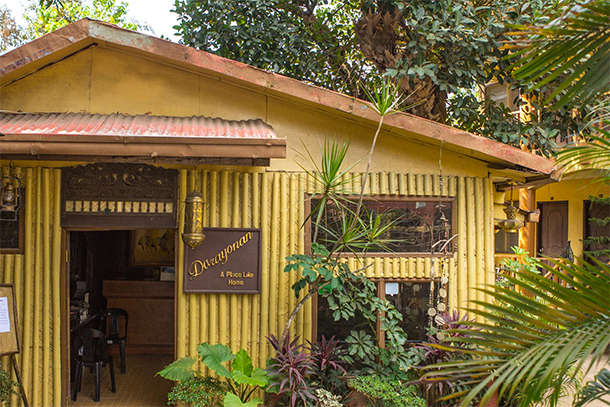 The Darayonan Lodge looks pretty nice, certainly providing for all the necessities and even with some comfort added. They were even able to add another bed to your room — that is very helpful! And iti’s always nice when breakfast is included. Looks like you found a great accommodation! Oh I love the Philippines! And especially Palawan. I have only stayed in Puerto Princessa but everyone was so extremely friendly. I still want to go to Coron and El Nido as well! This looks like SUCH an adorable place to stay and its really good they managed to move you to another room (closer to the pool too!). It’s looks like a great place to stay. I really like the pool. So nice that it is affordable. I love the look of The Darayonan Lodge, it looks super cute! I could totally see myself relaxing around that pool, and it seems like it os really well located for exploring. Thanks for sharing! Yes.. I did also love their location. It was close to the some of Coron’s attractions 🙂 . Looks like you had a nice and comfortable stay in this hotel. The swimming pool looks very inviting! Yes it was pretty comfortable 🙂 . This hardly looks real, it’s so beautiful! I had never heard of Coron before, but it looks like such an exotic place. I definitely need to learn more about this area. You really should. Coron is awesome! Yes it was.. 🙂 Great day to be outdoors! Clever idea opting for budget accommodation when you’re spending most of your time out – ultimately for active vacations you just need a clean and comfortable place to stay. 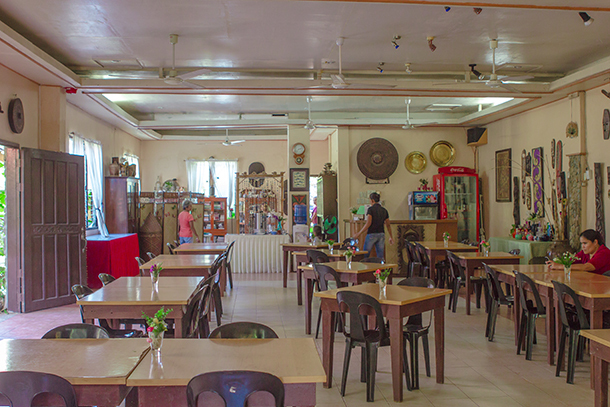 The Darayonan Lodge sounds like it was perfect – definitely looks homey and cosy. Beautiful pool area, and it sounds like wonderful friendly service. Thank you, Megan.. 🙂 We indeed had a great time.. I love the pool! What is the bucket for in the shower? (sorry might be ignorant on that). Picking a nice accomodation is so important. Sounds like you hit a good location and a nice place! So sweet that they were concerned about your pregnancy and the stairs. It’s used as an alternative for showers :). I am also a super planner! Just like you, it’s months of planning for me as well! 😀 Hope you really enjoyed Coron! I have never been there but it is high on my list. Hahaha.. Great to hear that! 😉 You should definitely visit.. Coron is lovely! Looks like a great little place to stay – the pool is a great facility as well. I’ve been dying to travel to Coron so will have to bookmark this for later. That looks comfy and local! Glad you enjoyed your stay there! 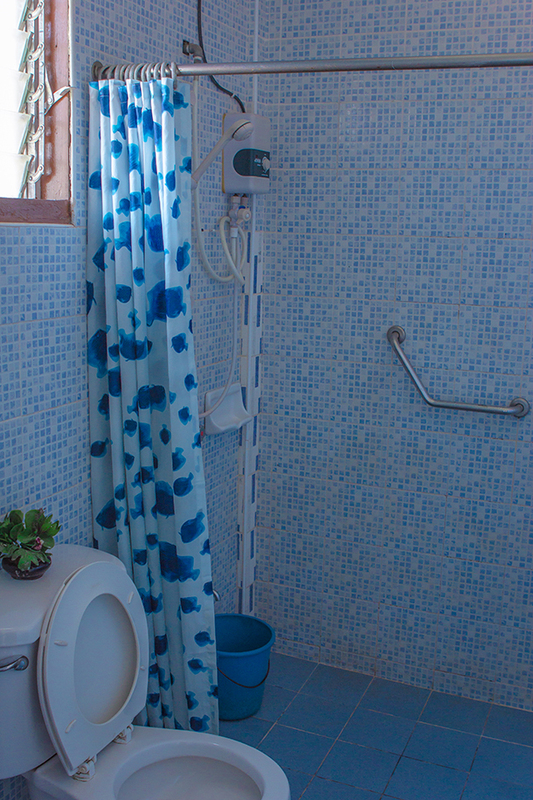 I love the blue mosaic tiles in the bathroom! It always makes up for such a colorful setting. Happy to hear you could be accommodated on the first floor! Aww I liked the way they accommodated you because of your pregnancy. It’s the little things like that that can make such a difference. 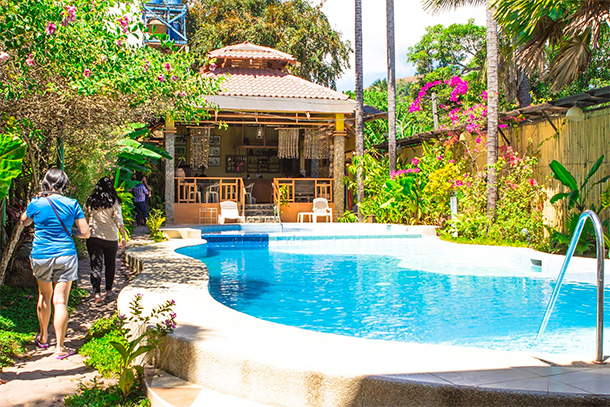 It looks like you got the perfect place where you can stay in Coron! I admire its aesthetics and how accommodating the staffs are. It will be better if each room will have a wifi connection too. Overall, your post about Darayonan Lodge is pretty impressive. 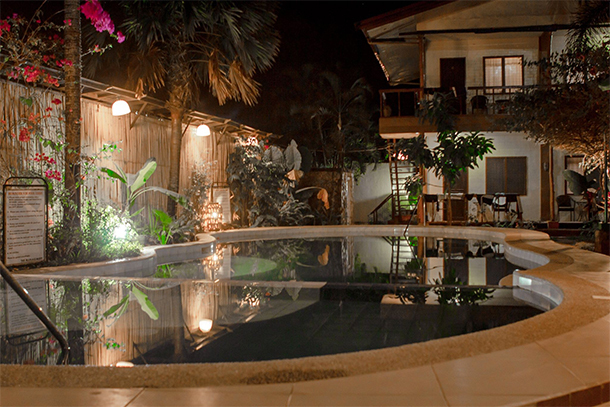 Oh, this place looks like luxury compared to where I stayed in Coron. I paid less than $5 for an apartment which was overrun by ants and some other rodents :/ Will definitely check this place out next time I visit Coron. Love the look of the pool! Oh no.. That’s so sad. I hope you still had a great time though..
With so many gorgeous islands, I can’t imagine how gorgeous the views would be from atop. Love how homely & traditional the hotel looks. Didn’t you feel as if Darayonan Lodge was home? It looks so warm, cozy and informal, with that laid back decor. The pool and dining area look inviting. Great pick for a short vacation. It sounds like you found a budget friendly place to stay that suited your needs. It’s nice they were thinking of you and let you have a room on the first floor. The whole place looks very private and the pool looks great. Palawan is such a beautiful place. We only got as far as El Nido last time, still have to visit Coron one day, Sounds like you found an awesome budget friendly hotel to stay in! Hi there! 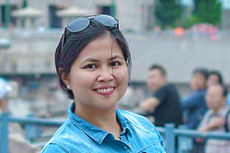 My name is Marvi and welcome to Osmiva! I’m a full time Mom who balances her time traveling (mostly with my husband and sometimes with my friends and family) and blogging. Come and tag along on our weekend trips, family holidays, friends get-togethers and DIY adventures!